Updated & well cared for SOLID, BRICK home in a great location on a quiet street tucked into a close in neighborhood. You can't beat this locale, surrounded by trails, & close to just about everything! 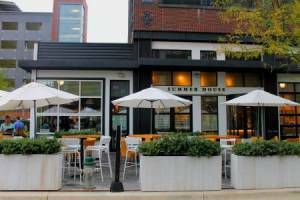 Metro, MARC train, Rock Creek & Local Parks are just around the corner. 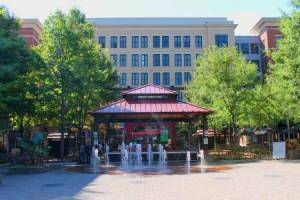 North Bethesda, Pike & Rose, White Flint, Bethesda and Kensington are also very close by with gyms, Whole Foods, Harris Teeter as well as tons of shopping, dining & recreation options too. Refinished hardwood floors on the main level with updated windows, well maintained major systems and a roof with many years of life left on it. Living room opens to dining area off the updated & open kitchen with island. Lower level with recessed lighting, a full bath and a graciously sized recreation room with storage. New laminate, walnut colored flooring in lower level recreation room. Huge screened in porch with deck offers more than ample dining and recreation space with a view of the level lot. Everything has been done for you so that you can move in and enjoy. No HOA. But there is a voluntary civic association that creates a wonderful, welcoming neighborhood with fun events like block parties & music festivals. CHECK OUT THE NEIGHBORS & NEIGHBORHOOD SATURDAY FEB 9th from 3-8pm Come on by the "civic green" at the Randolph Hills Shopping Center for craft brews and firepits! Two Rockville breweries, 7 Locks Brewing and True Respite Brewing, will be on site along with neighborhood restaurants Cafe 2020 Korean Kitchen + Bar and Pizza Leo. In addition, True Respite will be selling hot chocolate. Bring the family and stop by for a couple drinks with your neighbors!